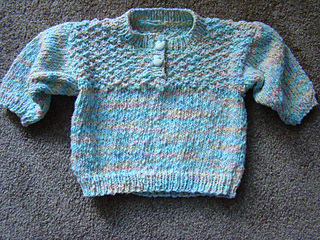 0-3 months, 6-9 months, and 12 months. 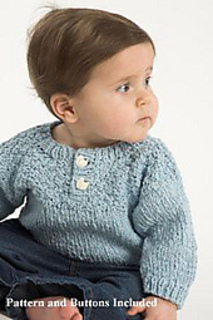 The Baby Placket Pullover is a free pattern included with each ball of Plymouth Yarn Company’s Cotton Kisses yarn. 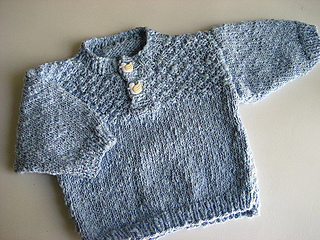 Also included are 3 buttons -- you’ll have everything you need to complete this adorable little sweater.